12 1/4 x 28 x 3 3/8 in. 9 7/8 x 14 7/8 in. For our 36th year participating at the prestigious 63rd Winter Antiques Show we shall be featuring a carefully selected group of both antique and contemporary Japanese art unified by the theme of “ao,” a term that conveys both blue and green and symbolizes the combination of earth and sky. 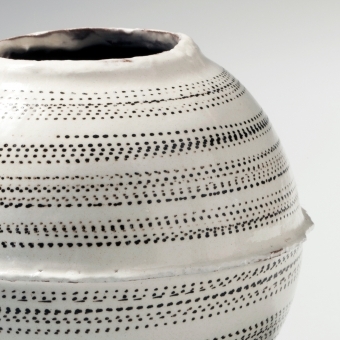 Combining Japan’s profound ceramic history with refined aesthetic design, the artists in this exhibition are visionaries who successfully transformed time-honored artistic traditions into widely acclaimed and collected art. Since its introduction to Japan from China in the 12th century, celadon has evolved from a notoriously difficult but highly prized glaze to one that can be manipulated to yield a wide range of alluring “ao” shades as well as tones of gray, yellow and even burgundy red. Kawase Shinobu (b.1950), one of Japan’s most prominent artist working within this tradition, has earned the nickname “Seiji sensei” or the Master of Celadon, and his work has been featured in over one hundred exhibitions throughout the world. Unlike Kawase, Fukami Sueharu (b.1947), has focused his efforts exclusively on seihakuji (bluish-white celadon) and devised a high-pressure slip casting process to achieve pure, sharp sculptures in porcelain (one especially elegant form has been on display at the MMA for over a decade). 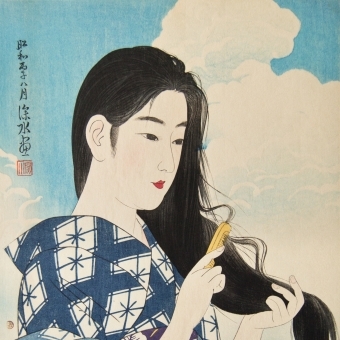 Following in the footsteps of these artists, the young Kino Satoshi (b. 1987) has made remarkably fast strides in the field of celadon with his billowing ribbon-like sculptures. Despite his young age, Kino has successfully had his work exhibited and collected by museums across three continents. The sometsuke (blue-and-white glazing) tradition was also imported from China to Japan in the 14th century and is characterized by hand-painted cobalt blue underglaze designs on white porcelain or stoneware. Fukumoto Fuku (b. 1973) works in the sometsuke tradition and her use of both blue and green glazes as an adhesive for her unglazed, thinly walled, white porcelain sculptures has made her a leading figure in the second generation of female ceramists who are changing the landscape of contemporary Japanese clay. Unlike the refined Chinese-inspired aesthetics of celadon and sometsuke, oribe was domestically conceived in the Momoyama Period (1573-1615) and is one of Japan’s oldest colored glazes, admired for its rich emerald green hue. Katō Yasukage (1964-2012), the late 14th master in his familial line of Mino ceramists, artfully uses copper-green oribe on sculpturally focused functional forms and his work continues to garner acclaim both in Japan and the West. 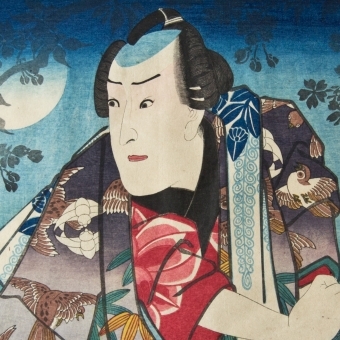 Furthermore, we have assembled a group of paintings and ukiyo-e prints by renowned artists who mastered the subtleties of “ao” by skillfully using fugitive ai (indigo), tsuyu (dayflower), and the brighter and more resilient bero ai (Prussian blue) as well as blue-green mineral pigments. 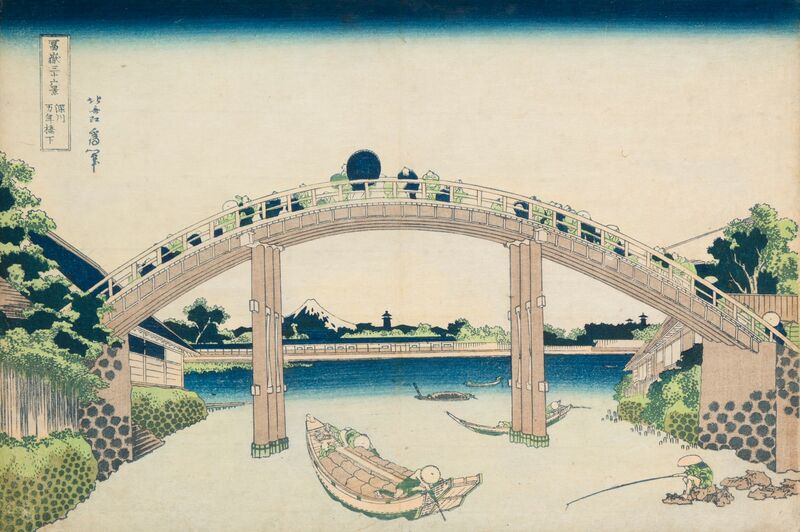 These include fine prints by masters of landscape such as Katsushika Hokusai (1760-1849), painters inspired by Chinese literati models like Nakabayashi Chikkei (1816-67) or modernists influenced by the Kyoto tradition of naturalism and western watercolor aesthetics like Takeuchi Seihō (1864-1942). 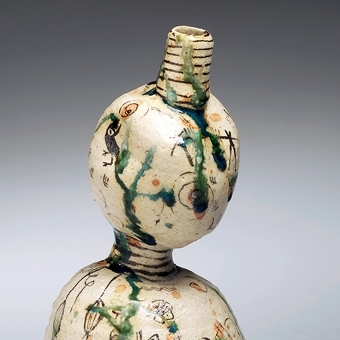 Joan B Mirviss is a leading dealer in the field of Japanese art and ceramics, and from her New York gallery on Madison Avenue, Joan B Mirviss LTD exclusively represents the top Japanese clay artists. As a widely published and highly respected specialist in her field for nearly forty years, Mirviss has advised and built collections for many museums, major private collectors, and corporations. For more information or to request high-resolution images, please call 212-799-4021 or email info@mirviss.com. 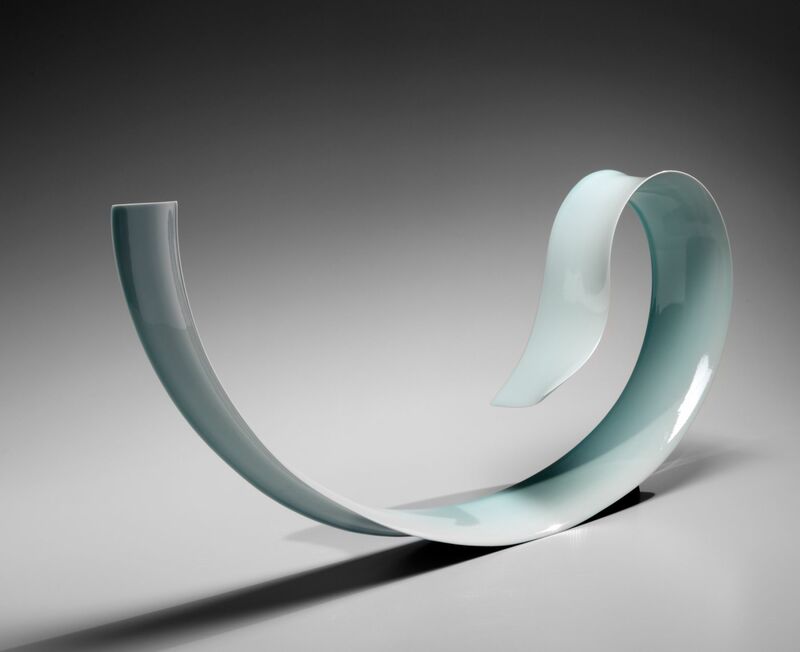 The official website for the Winter Antiques Show is now available to view by clicking here.